The PA Breast Cancer Coalition (PBCC) is thrilled to join iHeartRadio and Community Aid for the 2nd Annual Boatload of Bras event on the Pride of the Susquehanna Thursday, October 25 between 7 and 9 a.m.
Have a gently used bra? Donate it today! 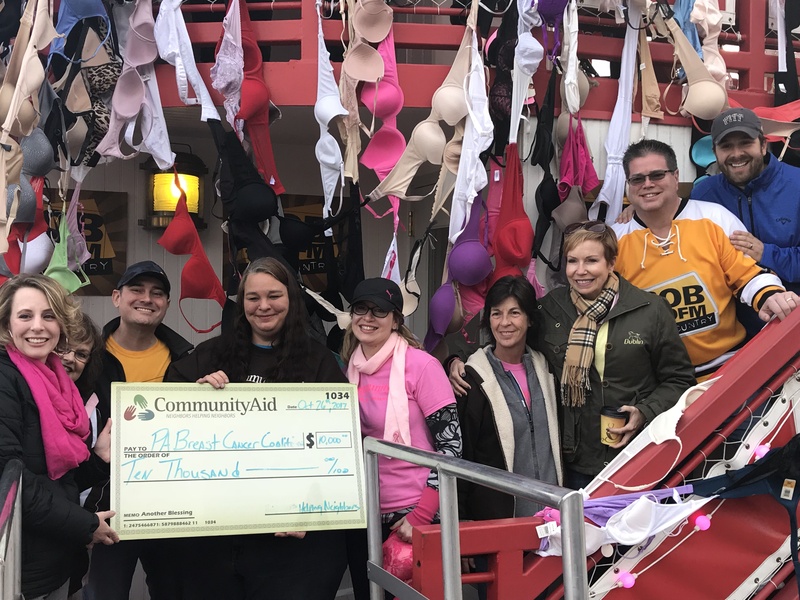 For every bra collected, Community Aid will make a donation toward the PA Breast Cancer Coalition’s programs and services for women facing breast cancer and their families. A special presentation will take place at 8:00 a.m. at the Pride of the Susquehanna dock.